I note the passing of my very good friend Dave Thomas, who for 17 years was the Executive Director of USPSA, after a long battle with cancer. Let me say flat out that Dave was my brother, a fine and honorable man with a great sense of humor and a heart the size of the sun. Dave shepherded USPSA from the early days of flying by the seats of our pants into a national sporting organization. He was one hell of a shot, too. He was one of the original instructors who signed on with us for the NSSF Media Education Program, and he never hesitated to do whatever was necessary in the fight for our rights. Dave Thomas helped shape the sport we love, and he did so by caring so very much not for the shooting sports in the abstract, but for the people who come out every Saturday or every Sunday, who set the stages up, who run the times, who bring their friends out the next week. Dave loved practical shooting, but he loved practical shooters more. And all of us benefited from that love. Thank you for the great times, Dave, and for your commitment. Rest in peace. Remington Arms Company put out a statement today that addresses issues with theRemington R51 pistol. The company acknowledges performance issues and explains that the problems customers may have experienced resulted from the process of transitioning the pistol from prototype into mass production. Remington says anyone who purchased an R51 may return it and receive a new R51 pistol, along with two additional magazines and a custom Pelican case, by calling Remington at (800) 243-9700. DENVER (AP) — A law expanding background check requirements on Colorado gun sales has been in effect for about a year, and an Associated Press analysis of state data compiled during that span shows the projected impact was vastly overstated in a key budget report. The discovery has prompted a prominent Democratic lawmaker to question whether the Legislature misallocated millions of taxpayer dollars based on the flawed estimate, which has provided an opportunity for Republicans to resume attacks over regulation that already has come at great political cost to Colorado liberals. Catherine Mortensen, a spokeswoman for the National Rifle Association, said that using the 40 percent figure as a basis for Colorado's projection "calls into question lawmakers' access to accurate information on not only this, but all firearms-related legislation." In total, there were about 311,000 background checks done during the first year of the expansion in Colorado, meaning the 13,600 checks between private sellers made up about 4 percent of the state total. Further, the private review figure includes the number of checks done at gun shows, which have been required for years in Colorado. The law also requires checks for online sales, which is new for transactions within Colorado. But such vetting was already required on interstate sales. Still, interstate activity is tallied in the private background check total. Taken together, this indicates that the number of newly mandated background checks that have been performed is even lower than 13,600. What happens when you listen to a nasty little fascist. The numbers hand-delivered by Bloomberg...the hugely slanted Denver Post poll that Democrats waved like a bloody shirt...the testimony from Bloomberg's fake witnesses...it was all a lie! ...in a word, WOWIE ZOWIE! 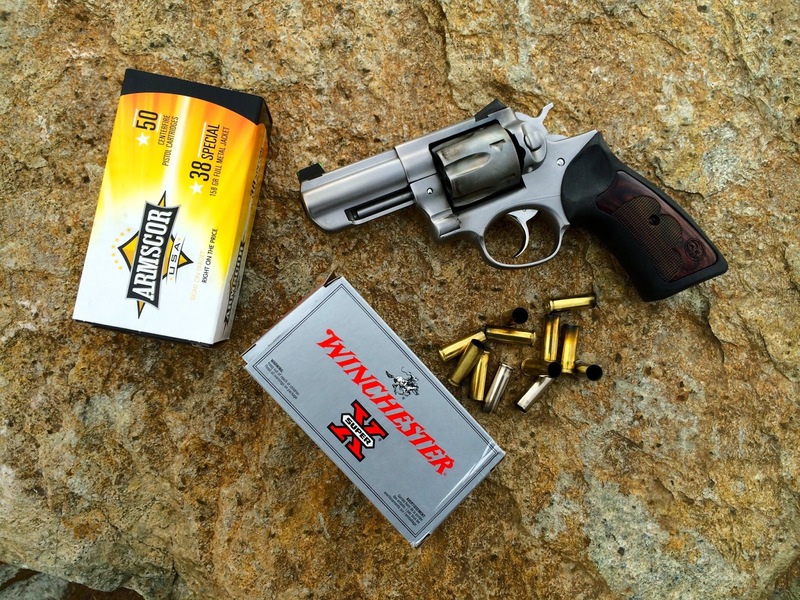 Shooting the Wiley Clapp Ruger GP100 is a delight. As I mentioned earlier, it’s a nice piece to begin with, but I have to admit I really liked the grip. It fit my small-to-medium-size hands wonderfully and gave superior control and recoil absorption. The wide notch of the Novak rear sight allows for a bit of daylight on either side of the front sight, providing for quick and easy target acquisition—even in low light. While the action did not appear to have been tuned much, if at all, the revolver performed extremely well both in single-action and double-action operation, the trigger pull being crisp on the former and smooth and unglitchy on the latter. Bottom line: It was simply a lot of fun to shoot, and I did about as well with it as I can with any short-barreled .357. The ones I handled seemed to be really nice revolvers. I saw one for a good price and snapped it up. To be honest, Wiley did indeed "write the book," in this case, books, including CONCEALED CARRY — THE SHOOTERS GUIDE TO SELECTING HANDGUNS and numerous articles on concealed carry and snubby revolvers (here's an example, and a list). Although I have learned an incredible amount about guns and shooting from Wiley, to the best of my knowledge he doesn't own a pair of 5.11 tactical pants. I mean, he was a Marine in Vietnam and spent a career in law enforcement, but I don't know whether you can call him a "tactical guy" or not. Wiley's done a couple of designs for Colt, including the TALO Lightweight Commander and a really nifty Peacemaker in .44 Special, before the GP-100. I liked the Novak sights, I like the Roper-inspired wood grip panels (that mirror his grip design on the 1911 and the S.A.A.). The gun out-of-the-box was okay, but I had heard great things about Marc and Karen Morganti at Gemini Custom, and the custom Rugers pictured on their site were to die for. 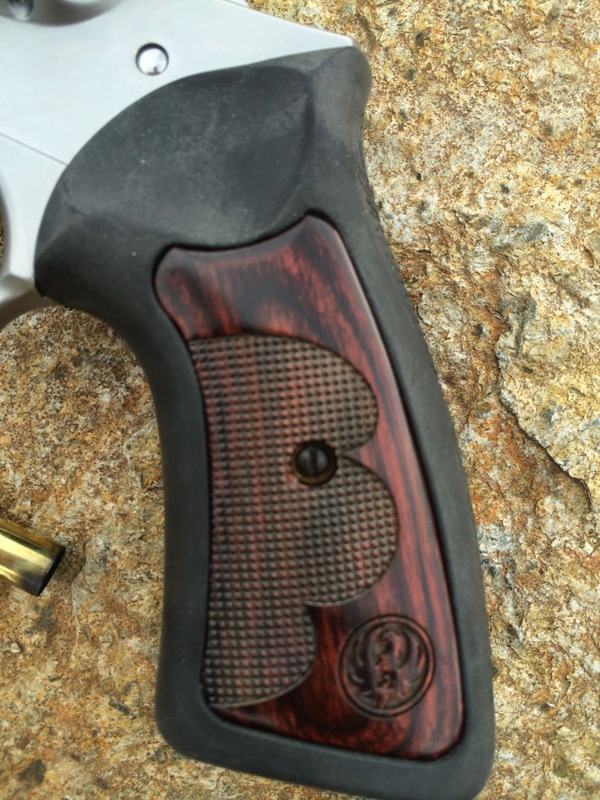 Here's what I asked Mark and Karen to do on Wiley Clapp gun, essentially a "Basic" package. I passed on the porting, because I blow hot and cold on ported pistols. After talking with Marc, the hammer's been polished and trimmed, but not removed (as it has been on my competition GP-100). I got the gun back yesterday, and today between storms and visitors I put maybe 60 rounds through it before the storm caught me, mostly .38 Specials including ARMSCOR FMGs and Winchester +P 158-gr. Double action trigger pull is amazing...didn't even shoot it in the single action mode. I'll actually mkeasure it in the next day or two (remember, visitors! ), but speaking as somewhat of a connoisseur of Ruger trigger pulls, this is one of the best I have. The gun is beautiful; the gun is smooth; the gun shoots like an extension of your hand. This may be the best defensive revolver I've ever shot. ...I got the podcast done! I feel like I've been running through mud all day...I think it's one too many sheets of drywall. I'm stymied in a bunch of projects by small parts, so I sat down today and tried to order all the little pieces to actually finish something. I talked to my friend Andy Langlois at Andy's Leather about the sling and magazine pouches for the Browning BLR project...Andy is the creator and moderator of the Scout Rifle Forum, which I have relentlessly raided for info, and he's going to be doing a piece for us on DRTV. 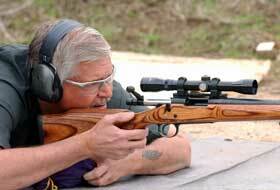 He's doing a Rhodesian sling for the BLR, BTW. 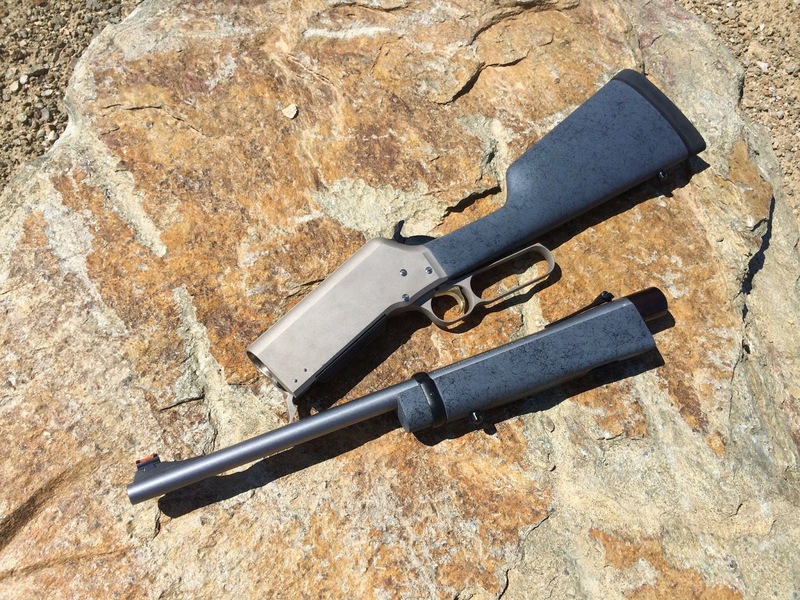 Am pretty interested in the SilencerCo Salvo 12 gauge silencer...shades of NO COUNTRY FOR OLD MEN! Shotgun silencers are, to me, problematic...questionable noise suppression in exchange for a big measure of unwieldy. So the SilencerCo can be a breakthrough. Be interesting to test it. ...yep, what can I say? Big fun! Actually got out and shot a Pawnee Station cowboy match yesterday at Great Guns in Nunnery, CO. It went very well (4th out if 36; my Sweetie was 8th)...I can think of a couple of points where I gave up seconds, but not too many. Interestingly enough, I gave up a couple of seconds on the last stage, which was a straight up stand and shoot...usually I smoke through those because I'm good on transitions from gun to gun. Unfortunately, as I stepped to the line I thought wow, I'm having a really good match! 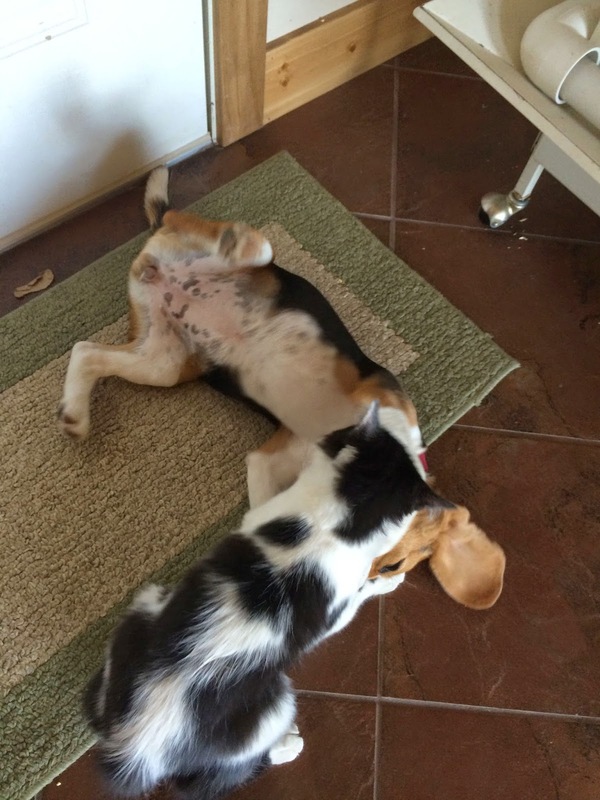 So that evil little voice whispered, "Back it down a degree and preserve your place finish!" LOL! About the 3rd rifle shot I thought, That's really stupid...nobody's winning a Cadillac here!" and sped back up, but by the I'd lost the seconds. There were LOTS of new shooters at the match...great for the sport...harder on me and the other couple of range officers who take the new shooters through the stages. Not really a problem, but, MAN, a huge number of gun malfunctions! Yes, even old gun designs are prone to failure...usually (or maybe I should say as usual) it's ammunition. In Cowboy, if the shooter declares a "broken gun" it's handed on and taken off-line. That's because most cowboy jams tend to be cataclysmic...try running and uncrimped round through a lever action rifle...or any round through a new Marlin. Also, I especially don't want new competitors "futzing" with a jammed gun on the line...it's not like it's "tap-rack-bang" with a semiauto...it's too easy to point the gun where it shouldn't be pointed, like at me! A reptile expert said Friday that he wants to go "on the record" and confirm that New Jersey authorities are searching for an anaconda, not a boa constrictor in the state's largest lake. "I was sworn to keep my mouth shut by local officials to avoid causing a panic," Gerald Andrejcak, the specialist,told NJ.com. "Now that there's a panic, I'm going on the record." Personally, I'm terrified! I mean, it's been raining a lot at the Secret Hidden Bunker, and anacondas are notoriously sneaky. An anaconda ate Jon Voight -- and don't tell me that was just a movie! Btw! Am I the only one who thinks that was Jennifer Lopez' greatest role? And I'm just spitballing here, but do you think an anaconda could swallow Chris Christie? A surprisingly large number of people, including a good friend, are taken with the Browning BLR lever action rifle project. This makes me think that you may see the final project on SHOOTING GALLERY as well as DRTV. Got the Negrini gun case for the project this week. 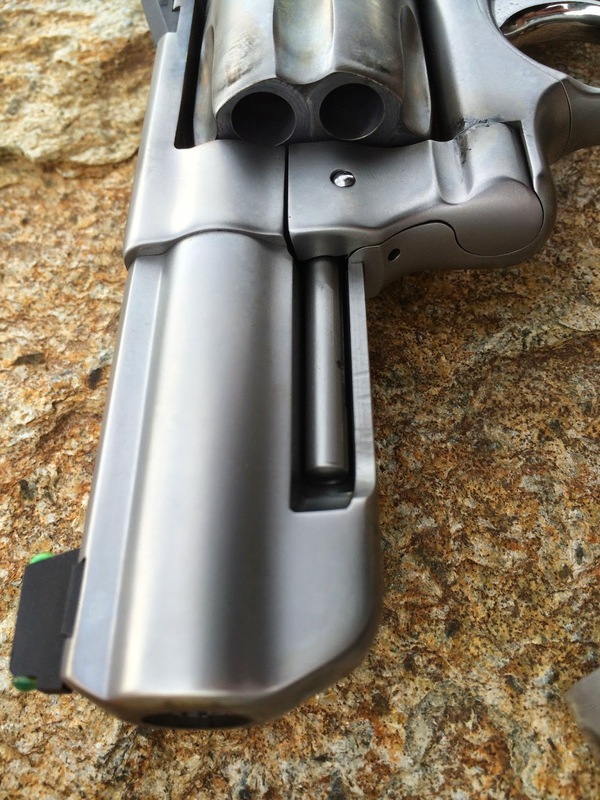 My Wiley Clappy Ruger GP-100 is coming back from Gemini Custom next week. I've decided to focus my non-cowboy training on the GP-100 for next year's ICORE championships. I sucked so hard this year -- and, yes, you get to see it on SG! -- that I want to strive for some kind of redemption. I'm going to make a few changes to my competition GP-100 to get it to 100%...I also plan to use the revolver in IDPA...I'll probably shoot the Worlds in Puerto Rico, so Tom Yost will have someone to make fun of. The modular barrel means that it has been constructed utilizing a superior quality of steel for the barrelwhich is attached to stainless steel breech and muzzle caps inside a thin-walled aluminum construction. The Ultra barrel took over a year to develop internally at Magnum Research and was extensively tested utilizing a variety of ammunition. When tested for accuracy against similarly constructed barrels, the Ultra barrel outshoots them significantly. Part of the reason for this is the patented heat sink located strategically inside the Ultra barrel itself. While I have no direct experience, those tensioned barrels have a reputation of being wicked accurate. When I talked to MR a while back, I told them I'd love to see a .22 LR version. Hope to have a T&E soon! Also for general cool .22 stuff, this from Jerking The Trigger, AGP Arms has a bunch of totally cool 10/22 stuff, including a take-down conversion. I kinda like the orange! 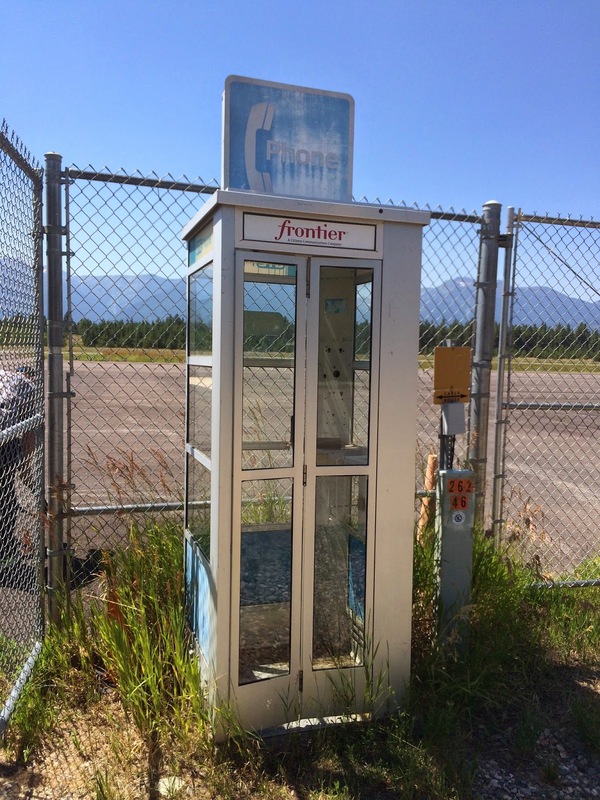 I stood in it and thought, c'mon...c'mon...let's travel in space and time, get me a couple of Companions and rock and roll...but, sigh, it was just the last dead phone both in Montana. Anyway, after many requests, here's the work-in-process version of my Browning BLR "legal in ever jurisdiction" traveling rifle. It's in .223, comes with a 4-shot dreadfully expensive magazine, is just a hair under 7 pounds as it comes from the factory. The custom fiberglass stock from MPI takes about a pound-and-a half off the laminate stock version. You'll note I had the ridiculously long LOP shortened, a recoil pad installed (not so much for the recoil as it "sticking" on the shoulder) and sling swivels installed. I have a Browning scout scope rail I will probably install, along with a 2.75 Burris scout scope, the same as the one on my Ruger GUNSITE Scout Rifle. If I go woth the scope, I'm going to try a set of Skinner sights as the BUIS. Sling will of course be a Rhodesian sling from Andy. I hope to get this thing finished before SHOT, where I have a sinking suspicion I will see a production version! LOL! This vid has been all over the Internet...would be really cool to "print" an ersatz 10/22 receiver. Wednesday? Really? When Did That Happen? Marshal Halloway and I filmed Monday and Tuesday for DRTV. Monday, we filmed with our friends from Burris, going through the product line (you can hear all about it on today's podcast, along with a really cool song from Batmobile, the greatest Dutch psychobilly group in history). This is after 2 days of building our parrots' outdoor flight cage, which they absolutely love. Two days working with fencing, gloves or not, means my hands look like I stuffed them into a disposal unit. Tuesday we covered a bunch of stuff for DRTV, included my work-in-process Browning BLR .223 takedown and...pause for effect...our first giveaway gun in a long time on DRTV! We had to work out the details of giveaways withOC's new management, but now we're good to go. I don't know when I can announce the rifle we're giving away, but, if you'd like a hint, you can spell it R*U*G*E*R & J*P*R*I*F*L*E*S & B*U*R*R*I*S & W*I*L*D*E*R*N*E*S*S*T*A*C*T*I*C*A*L...you didn't hear it here! But remember, DRTV Forum members get entered twice! Got a bunch of new guns to pick up next week...you guys will be excited. I was going to be sneaky and use a J.P. 9mm carbine at Crimson Trace next month...unfortunately, CT issued a rules clarification that specifically prohibited pistol caliber carbines...sigh. I'm going to use the Daniel Defense carbine I used last year with a Burris MTAC 1-4X illuminated. Same Versa Max and Ruger SR9, which I am considering cleaning before the match. I've been working with my Sweetie and her brother to get them ready for their Project Appleseed event in a month or so. She'd going to use my .22 Spike's/JP AR that I used to get my Rifleman patch (unless, of course, her very own .22 AR materializes...quiet! Tell no one!). It's been fun! Marshal and I have been putting together the details of filming an Internet documentary on Project Appleseed for both DRTV and another major Internet site you'd recognize in a heartbeat. We want to roll the cameras before the end of the summer. 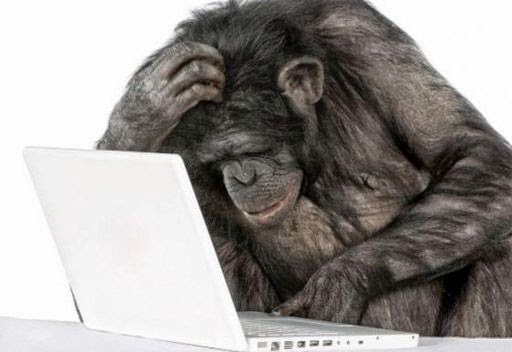 If you're trying to email me, you can't, because the howling pack of monkeys at Apple shut off my email because of a "security reason." They also shut off my Apple ID. When I was finally able to reach Apple support this morning — and my guy John was indeed very nice — he couldn't tell me what the security reason was that led my accounts being shut off. I mean, was it an NSA attack or one of their Third World programmers in inadvertently hitting a random key on his or her computer while playing video games on his or her phone (probably an Android, since it would, by definition, be working). So after a ridiculous session of verifying my identity, John said he could, within 24 hours, send me an email with instructions for reactivating my accounts. I pointed out to him that, in fact, his clown show security department, had shut off my email account. Count me a HAPPY APPLE CUSTOMER!!! Hope that you have great plans for Independence Day! I'm going for low key here. I've been at a dead run since I got back from Italy...there have been some hard production decisions to be made, and that is never easy...we will have some pretty exciting announcements to make in the upcoming weeks. Hopefully, I'll do a little shooting over the weekend, which seems appropriate for this particular holiday. I'll be at Burris next week filming for both their website and DRTV. 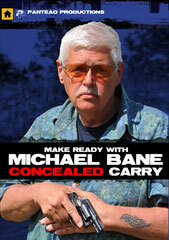 BTW, we're going to be running my concealed carry tips from the last few seasons of THE BEST DEFENSE on DRTV. I'm also thinking that I'm going to move the new season's concealed carry tips to DRTV and promo them on the broadcast TBD. We'll start running the cameras on TBD end of this month...we're going to model the Las Vegas "Bonnie & Clyde" police shooting this season. The MHS would replace the Army's inventory of more than 200,000 outdated M9 pistols and several thousand M11 9mm pistols with one that has greater accuracy, lethality, reliability and durability, according to Daryl Easlick, a project officer with the Army's Maneuver Center of Excellence at Fort Benning, Georgia. In other words, here we go again. I would say that the deciding factor will be whether the White House turns over from Dem/Socialist to Republican in 2016. For all their whining about how they support the troops, the Dems are violently anti-military and at their core despise soldiers. The likelihood of a Democratic administration shelling out for 200,000 new pistols is, in effect, plus-or-minus zero. If they go to trials, it will have a net positive effect on the civilian market. The previous long-anticipated never culminated SOCOM trials lead to a spurt of development on .45 ACP pistols (as did the military selection of the Beretta M9, which validated the larger-capacity 9mm concept). Consider that this time around a slew of companies, including Beretta, Glock, FNH, Sig Sauer, S&W, Ruger, Springfield and, heck, even Colt have viable platforms in place rather than designing from scratch. Dillon is a master in manufacturing and process, and he'll be a good match for Noveske.